Wemo Bridge is rated 3.7 out of 5 by 168. 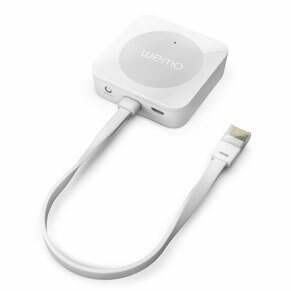 With the Wemo Bridge, you can quickly and easily enable your Wemo devices to work with Apple HomeKit. 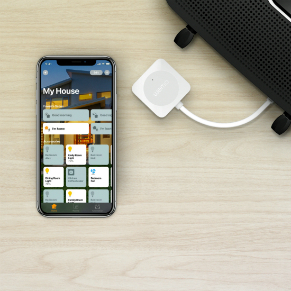 This smart bridge allows you to connect your Wemo smart plugs and light switches to Apple HomeKit, enabling you to easily and securely control your smart home using the Apple Home app and Siri on an iPhone, iPad, or Apple Watch. YOUR HOME. YOUR WAY. FROM ANYWHERE. Wemo devices use the existing WiFi router or your home network to provide wireless control of lights, lamps, heaters, fans, and much more – with no subscription or hub required. When using the Wemo Bridge and the Apple Home app, you can control Wemo connected lights and appliances from anywhere away from home by using the Apple Home app through Apple TV, or iPad set up as a home hub. 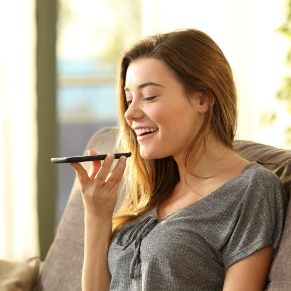 In addition to enabling control through the Apple Home app, the Wemo Bridge also allows you to use intuitive voice commands to control your Wemo devices by asking Siri. Just ask, “Hey Siri, dim the kitchen lights.” Home automation at its best. TAKE CONTROL OF YOUR HOME. ROOM BY ROOM. 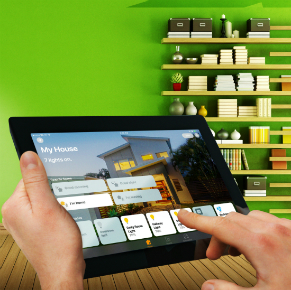 The Apple Home app allows you to set a custom scene to control multiple devices at once, all with a single command. Start the day off right by simply saying “Siri, good morning” to start a personalized scene that warms up the house, turns on the lights and brews your morning coffee. Or let Siri know when you’re coming home so that the lights and heat are already on. 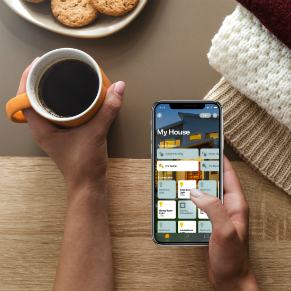 With the Wemo Bridge, you can use the Apple Home app to easily set automatic schedules for lights and appliances connected to your Wemo smart plugs and light switches. Keep your home comfortable by scheduling a fan to turn on at noon or schedule the porch light to turn on at sunset so that you never come home to a dark house. With its compact footprint and white finish, the Wemo Bridge has a sleek and unobtrusive design that blends in seamlessly with your home décor. Micro-USB Port: 5V/1A DC. PSU: 100-240V AC. Rated 1 out of 5 by Bill123987 from More trouble than it’s worth I hoped it was going to be great. I followed the instructions, disabled the Wemo app and configuration thru Apple home was easy. Then the gremlins. Erratic scheduled behavior. Then remote device behavior was unpredictable. Then if I turned on one light, two would go on. I couldn’t remotely turn on one anymore and if I did operate the switch, two lights went on in my house. I reset all the lights and re-associated them, a real pain. After a few days the same problem came but with different switches. Now I get this every few days, requiring me to unplug and re-plug in the controller. I should be getting paid as a beta tester as this is not ready for prime time. Rated 1 out of 5 by Battman from Plug & Play??? Not so! As the initial set up was not successful, restore would not go blinking white/orange as troubleshooting guide indicates but rather just white. When it was blinking white HomeKit app was opened, added a device, inputted 8-digit code. Nothing happened and the bridge went to blinking orange. Tried several times — same result. WeMo Tech Support was redialed 5x in 2 hours because in the middle of call they would cut out perhaps they were serving many customers at the same time. Sadly the problem is not resolved. Over the years I have accumulated 18 WeMo smart devices using the WeMo app. As is, this bridge is just a paper weight! 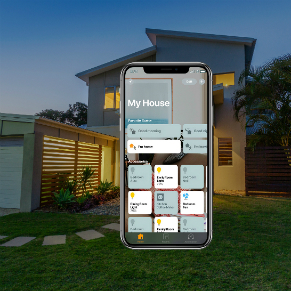 Rated 4 out of 5 by Chris in Jax from Great for Apple HomeKit! This device really brings it home for Apple HomeKit. It was very easy to set-up, and it has a flawless response from HomeKit. The bridge comes with everything you need for the Ethernet connection and power. It works with other bridges and does not interfere with their compatibility. The only gripe I have which makes it four stars is a little unfair to Belkin: Apple HomeKit does not work nice with other devices; i.e. Assistant and Alexa. It does not play nice to the point Belkin needed to create this bridge. Apple changes the rooms in essence unhinging the others. All-in-all, it is a solid 4.5 and 5.0 if Apple played nice. Rated 1 out of 5 by LVDave from Day 3 and still cant get it setup I installed this bridge and Homekit found it. I then went back to the Wemo app and it was asking for permission, which I granted. My 9 assorted switches all then showed up, greyed out, in Homekit and had a message saying they weren't responding. Went back to Wemo app and most now wanted a firmware upgrade so I let it do it's thing. Now 3 of my devices are no longer detected in the Wemo app and none at all are available for use in the Homekit app. I've tried a factory reset on one of the 3 "lost" units and they will not rejoin my network (I'm using the correct network password). My other 6 are still working OK, but only in the Wemo app. I've given up on setting up the Bridge until I can at least get my missing items working again. Rated 1 out of 5 by Disappointed customer from Constantly disconnects requiring hard reboot I was so excited when this bridge was announced. We Wemo products in every room in our home. Everything worked great until I made the mistake of buying this and installing bridge. After setup switches became unresponsive. When it works, it’s awesome - 3x faster than the app and Alexa with HomeKit. I’ve spoken to Wemo support and scoured the forums, neither have been helpful. I do NOT recommend this product. Rated 1 out of 5 by Done with Wemo from Does not work I was looking forward to integrating the bridge with Homekit. After hours of troubleshooting, I have had no luck getting the bridge to connect to the Apple Home app. I've tried resetting the bridge, deleting and reinstalling the apps on my phone, using different iOS devices, tweaking my router settings, but I get an endless spinning circle on the "Add Accessory" screen of the Apple Home app followed by an error message that the app and bridge are unable to connect. I've tried to connect the bridge about 20-25 times now and have had no luck. I plan to promptly return this.